This has been a lonnnnngggg battle to say the least. But recently I’ve had about enough! I found it that every night I was saying the SAME thing. “GUYS, GO, TO, BED!”. At some point you get tired of hearing yourself complaint about the same thing. I always preach the, “if you can’t change it, change the way you view it”. Well here I am, doing just that. I said to myself, this is the year of patience and will power. This means all areas of your life JASMINE! And I will MASTER just that. Getting them in bed at a decent time isn’t the issue. It’s making them stay in bed which was driving me bonkers. I am a very chill, relaxed person already. So when I know it’s time to unwind, they must unwind as well. But they are kids, that is almost impossible! So, I sat there and shut my mouth. I did not say one word. There was a moment where I almost slipped because I could hear them jumping on the bed. At one point I got up to get water, and I could see my youngest going back and forth between his bed and his brothers bed. They couldn’t see me because I had not turned the kitchen light on yet. I stood there and watched. Rather than say anything I took my water bottle top and threw it at their open door. (yes I can be petty sometimes) You should have seen them both scatter quickly to their bed. It was hilarious. I got my water, and went back to my room. As the AC started to kick in, so did their melatonin levels, and their room got quieter. 30 minutes past, and they were both sound asleep. Wah-lah!! I didn’t have to yell or over exert my energy. And they didn’t have to hear what they hear every night either. You know, your kids will do what you allow them to do. If they are use to knowing what moves you will make, they will keep doing it because there is not threat. But when you switch it on them, they kind of give up. And there you have it, this is what works for me. Here is one resource you can check out. Read it, and a take from it what may work for you! Resouce link: 10 tips to get your kids to sleep? 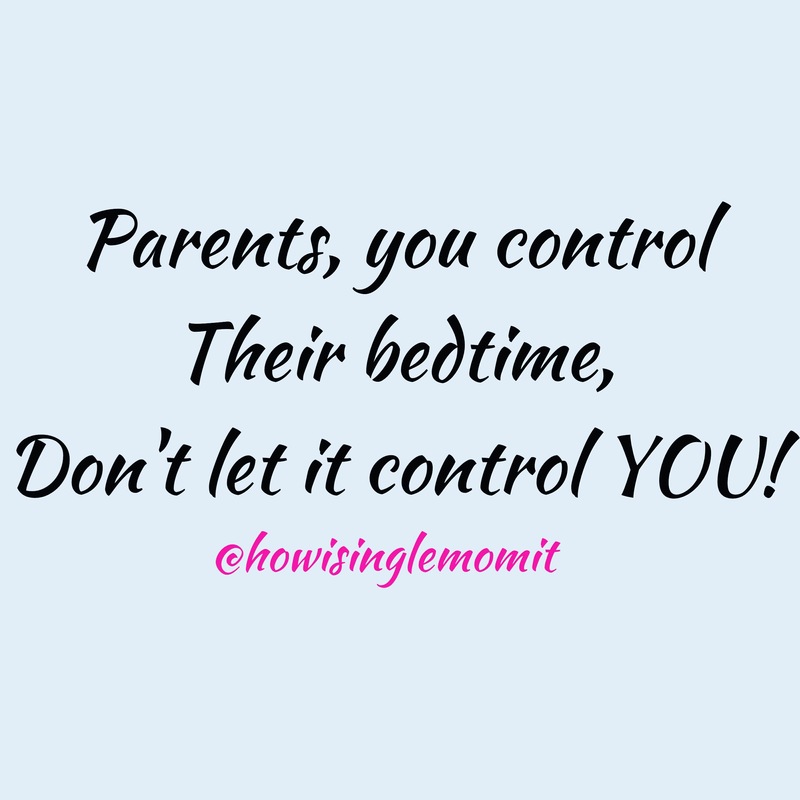 ← Co – Parenting anyone?